I was contacted recently by the team at Tory Burch about her new series of city guides and invited to give some of them a try and do a post that might give all of you readers a tour of what Tory Burch likes to do when she visits Seattle. I, of course, am always up for trying some new restaurants and checking out shops that I haven't been to. 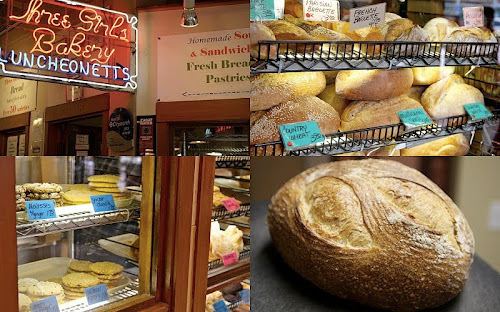 Many of the places on her list of Seattle favorites are also some of my regular spots so I mostly focused on the places that I haven't been to yet. It made for a few great adventures over the last couple weeks! Tory is a big fan of Capitol Hill restaurant Anchovies & Olives. Her go to item is the fresh oysters. Our waiter greeted us and gave us a little background on the restaurant and their menu which he explained changes regularly as items come into season and are locally available. We started with a couple signature cocktails. I ordered the Greta; A&O's brilliant take on the Manhattan. The Don ordered a Penelope; a drink that neither of us could quite find a comparison for. It was a delicious mix of Hornitos Reposado Tequila, yellow chartreuse, elderflower and orange bitters. With a lot of guidance from our server we finally nailed down our choices from an expansive menu of enticing dishes. At this point we learned how fresh the ingredients were when our waiter explained that there would be a bit of a wait for the fish dishes because the daily fish delivery was going to arrive any minute. We started with an order of Gnocchetti that came out looking like a piece of art. Tiny shell shaped pasta topped with savory hedgehog mushrooms, bacon and a fried perfectly fried egg. The mushrooms gave this dish a unique nutty flavor that really stood out in a good way. 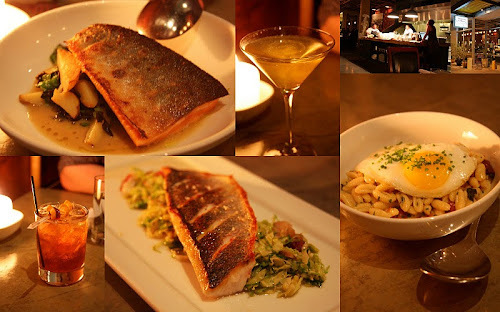 For our entrees we shared the Branzino (similar to sea bass) with shredded brussels, bacon and chestnuts and the Arctic Char cooked with buttery black trumpet mushrooms, escarole and potatoes. Both dishes were heavenly and so full of bold flavors but the Arctic Char shined through as the star of our dinner. Hours later we found ourselves still talking about how perfect it was. From the ambiance to the ingredient choices that made up each dish everything about our dinner was spot on. On the way home we made a stop at Tory's favorite dessert spot,and another Capitol Hill shop, Molly Moon's. As you all know I have a major soft spot for this place so when I saw it on the list I knew I would be having a little ice cream for dessert one night. When we arrived and saw that the seasonal flavor was Pumpkin Clove there was absolutely no question which ice cream flavor would be coming home with us even though I usually stay true to the Salted Carmel. To make it even more exciting we hopped next door to Oddfellows and grabbed some chocolate chip cookies to eat it with. Very good decision. Another place on the guide was, of course, Pike Place Market. Yes, this is the go to location for tourists but no matter how long I have lived in Seattle I always find myself just as drawn to the market as I was when I first arrived here. There is an irresistible energy to it. I always go on a weekday in the early afternoon when the market is filled as equally with people working there and locals picking up groceries and flowers as it is with tourists. I love to spend time there a few times a month to look for subjects to put on the blog but often find myself stopping at one of my four favorite places: Piroshky Piroshky for a cheddar cheese and onion roll, Simply the Best for dried strawberries, Mischou Deli or Cinnamon Works for a vegan chocolate chip cookie the size of my face. Well, I can add another place now. Tory suggested Three Girls Bakery which I had only tried a chocolate chip cookie at previously. We picked up a loaf of Rustic French Sourdough and brought it home to make grilled cheese and, WOW, the bread was amazing! It was perfect for grilling and I still have a little left that I am looking forward to using for a veggie sandwich tomorrow. I also got a Palmier and a chocolate chip cookie. Both Delicious! 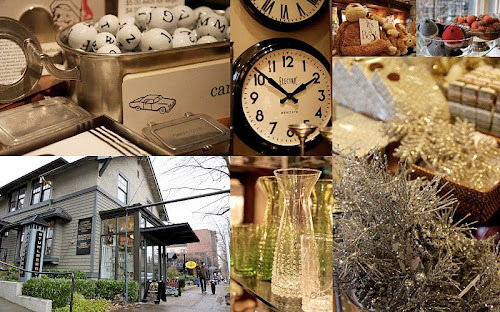 On a recent trip to Queen Anne I made a stop at one of Tory's favorite places to shop for gifts. I went to Stuhlberg's in hopes of finding a few Christmas gifts. The store was beautifully decorated for the holidays and filled with unique gift ideas for everyone. The front of the store was filled with holiday goodies like cards, ornaments and beautiful wrapping paper that could have been framed and hung on a wall. The back of the store was a whimsical room stocked from wall to wall with cuddly stuffed animals and timeless children's books. And the rest of the store... irresistible treats for all of us big kids. Cookbooks, glassware, bold industrial looking clocks, and home decor that looked like it had hopped over to Seattle from France. I left with a little for me, a little to give and some lovely napkins for Christmas dinner. On a trip to Fremont yesterday I got a chance to stop in at Essenza. Tory loves this gorgeous little shop for their Santa Maria Novella soaps and perfumes. 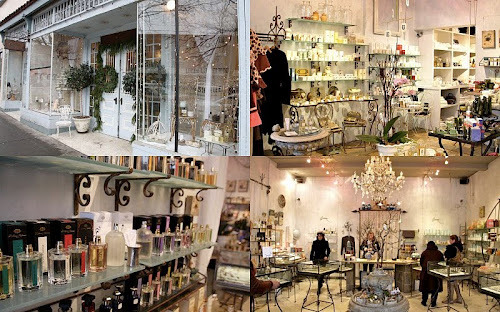 I am always totally blown away by their huge selection of not often seen fragrances and everyone who works there is so knowledgeable about every item in the store and more than willing to help you narrow down a few fragrances that will work for you. Maybe even your signature scent. On my last visit to Essenza I fell in love with Diptyques' Phylosykos. To ensure that I would be %100 happy with my choice the woman who helped me find it gave me a sample bottle to bring home and try for few days. I loved it even more after this test run. Now it is the newest addition to my current perfume rotation. There were a few other places that were on Tory's Seattle guide that I didn't make it to but are long favorites of mine. I've often cooed over Black Bottle and their Peach & Blueberry Kettle Tart. Everything I have tried on their menu has been incredible... simple, down to earth and satisfying. Other spots she enjoys shopping at here are Elliot Bay Book Co. and Great Jones Home. Both of these places are difficult to leave without an exciting purchase. I often stop in at Elliot Bay Book Co. on my walk home from work to peruse the newly released and oogle over the cookbook section. Another place I didn't stop at but that is not to be missed on a trip to Seattle is the downtown public library. I always make sure to bring my house guests here to show them the red room, the escalators and that are as much works of art as they are modes of transportation and the top floor which which is filled with dizzyingly wonderful views. I loved having an excuse to get out to all these great places. How lucky are we to live in this city? Taking myself on tours like these reminds me of this fact. It seems Tory and I have similar taste in stores and restaurants so now I have a source for suggestions the next time I make a trip to any of the others cities in her guide. Thanks to the Tory Burch team! !